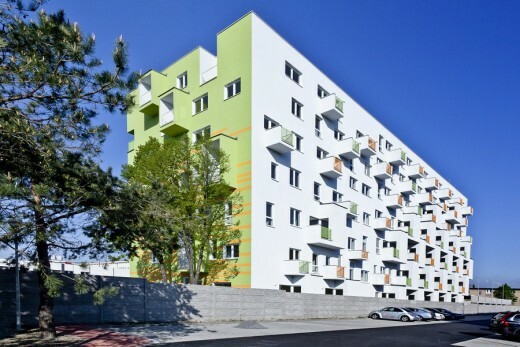 This project demonstrates that economic limitation doesn’t have to limit architecture. 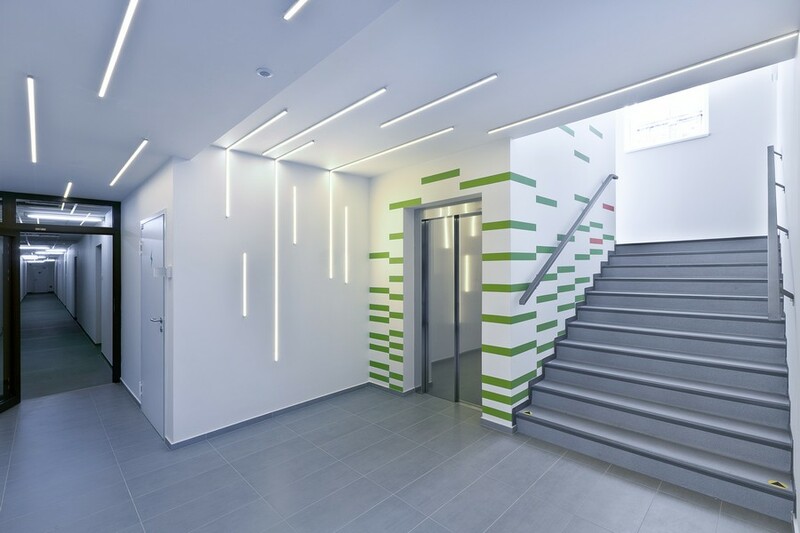 This story is about reconstruction of an old neglected school building into a fresh and functional residential house full of small-size flats. Nowadays, there is a great demand for small-size flats and price affordable living, especially among young people. 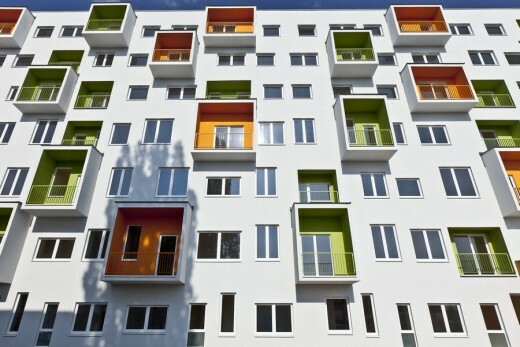 This represents a big challenge for architects, when designing urban architecture. Project DORNYK will bring 150 new one-to-three bedroom flats in three phases. In the first phase, the complete reconstruction of the existing building was essential. Iron-concrete skelet needed to obtain new circumferential walls, inner partitions, electricity distribution, canalization and more. 61 flats were created in the first phase. Second phase contained the three floors superstructure. In the third phase, additional building of another object is planned. After that, project will contain 150 new flats. 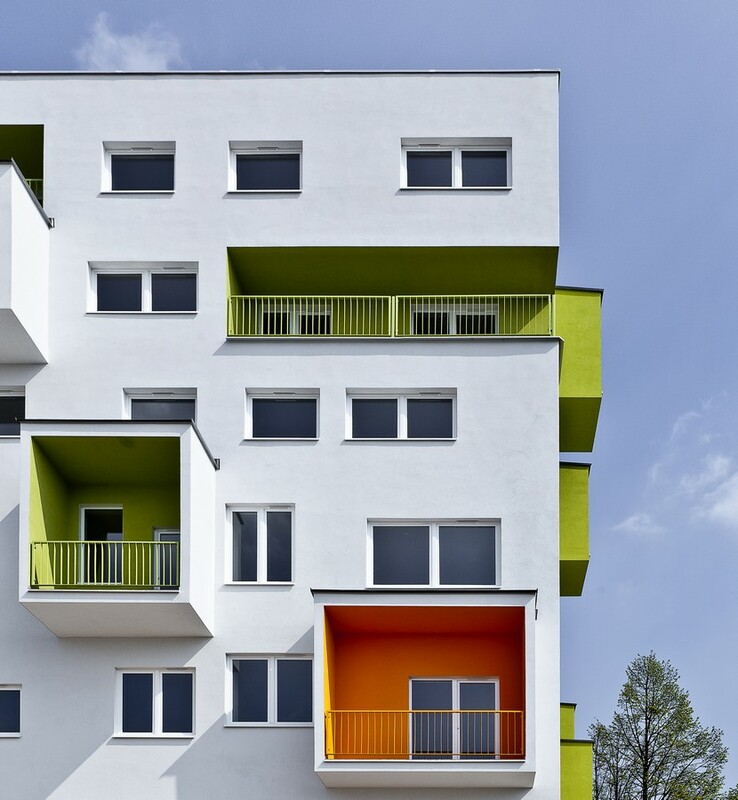 The architecture of residential building is modern, fresh and dynamic, and it is corresponding with the requirements for flexibility, effectivity, but also resourcefulness. Dornyk brings quality architecture to the segment of an affordable living. The building dispositions are designed very economically and rational. 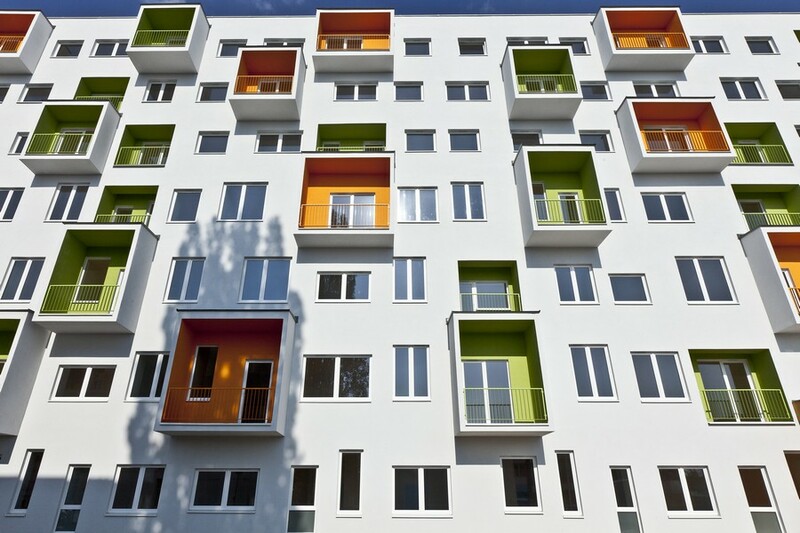 Almost every single flat in Dornyk is different and customer can choose from the variation of flat types. Quality of details dominates in the interior, which is very decently designed. 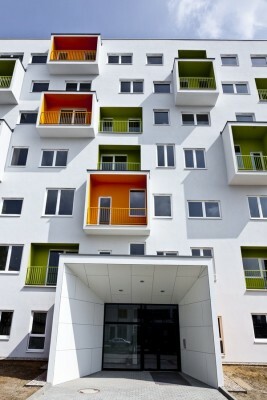 On the other side, exterior of the building is playful a colorful. West side facade is covered with irregularly placed loggias with contrasting colors. 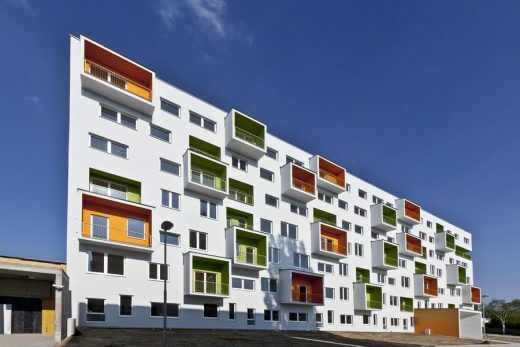 West side of the house is created with arkiers and colorful balconies. Requirements for energy efficiency are also met in this realization. 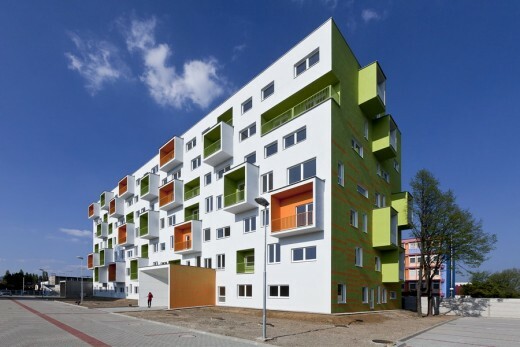 Project Dornyk fulfills the needs for an attractive yet affordable living for young people and addresses the challenge of urban architecture in the cities. 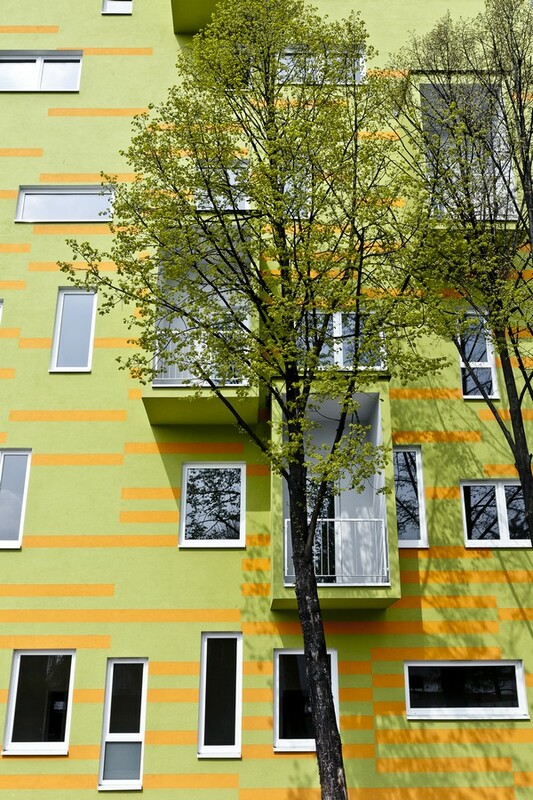 In this project, architecture won over the economic limitation. The result is a creative and cheerfully looking building where every inch of space is used effectively.